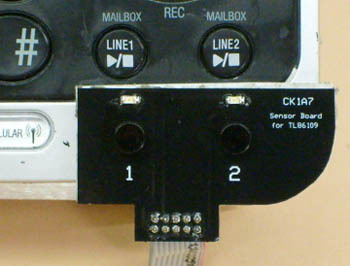 Skutch CK-1A7 The CK1A7 "Hold Button" Adapter was designed to provide Music/Message On Hold "Specifically" for the AT&T TL86109 corded telephones and associated cordless handsets. 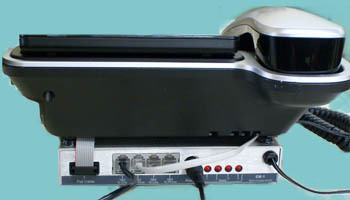 This Music/Message On Hold unit sits under the base phone and has a light sensor board that attaches to the top of the phone (see below). 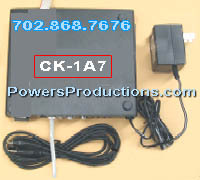 This unit can be used by any compatible phone in this system and just one CK-1A7 Music/Message On Hold unit will work with all of them. The unit works automatically in the background every time you press the HOLD button on any of your compatible phones. This unit lets your message sound its best "On-Hold" from Cassette Players, PP Players, MP3 Players, CD Players, PC Sound Card Output, or any Powers Productions Digital Player (including our Pre-owned models). The CK-1A7 Music/Message On Hold unit sounds great On-Hold without having to buy an expensive telephone KEY system (PBX/KSU). The CK-1A7 will ONLY provide Promotion-On-Hold audio when a call is placed ON HOLD from the AT&T TL86109 base or any of its cordless telephones. 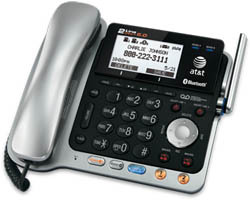 Other models of telephones can be used with the AT&T TL86109, but the Promotion On Hold audio will not be played to calls placed ON HOLD from these telephones. Note The AT&T Phone DOES NOT COME WITH THE Skutch CK-1A7 interface!! We are using the image of this phone to illustrate a sample image of this phone.